Banners are an excellent visual communication tool for both interior and exterior applications. The Sign Depot makes indoor and outdoor custom banners of all types. They can be used for a variety of promotional purposes including sales and special events, product identification, school banners, church banners, sporting event banners, sponsor banners, trade show banners, and directional banners. Our high quality printing combined with our huge variety of banner materials means we can produce custom banners to suit any application. A banner provides a flexible, portable and affordable way to put your message in many places. Banners are an excellent visual communication tool for both interior and exterior applications. 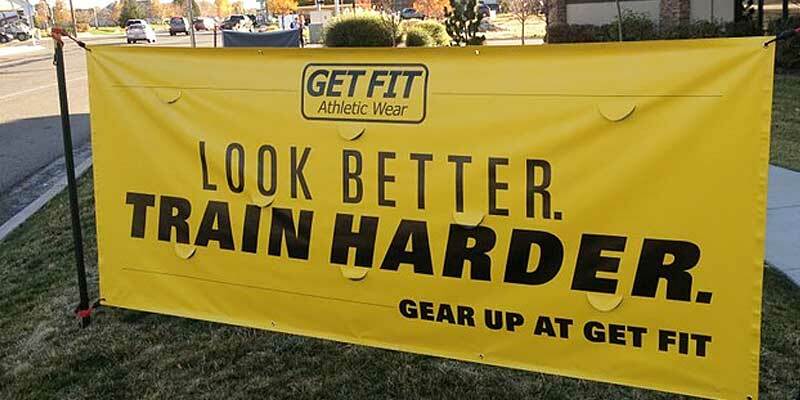 Whether it’s for trade shows, product launches, special events or even street pole displays, custom banners create a powerful signage program in ways that many other types of signs simply can’t match. Gone are the days when banners were boring, pieces of vinyl with one or two colors of text and simple graphics. 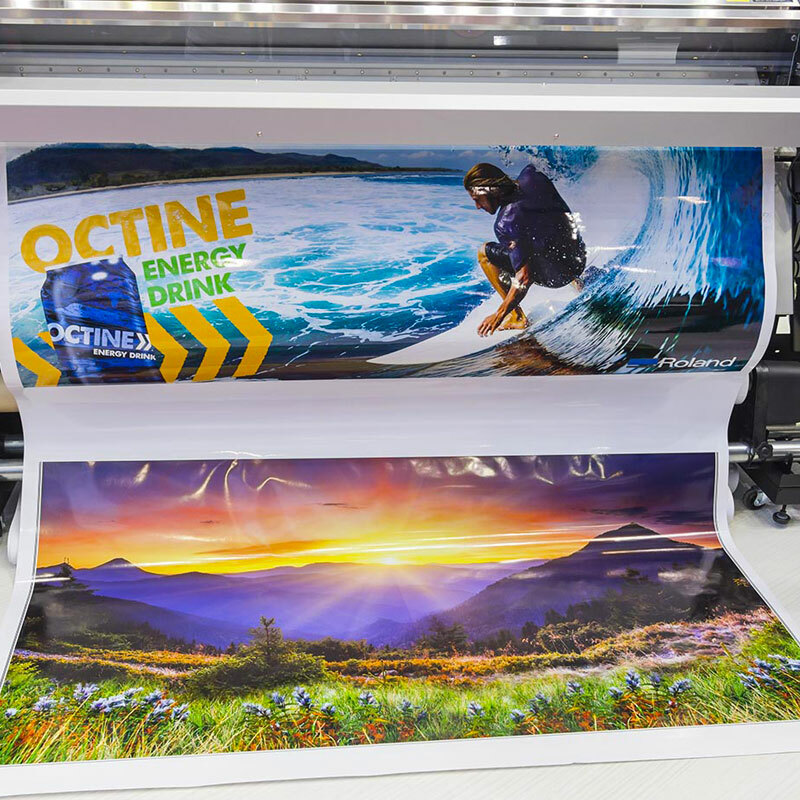 Advances in digital print technology now allow us to bring the powerful impact of full-color design to custom banners. If it’s one banner or 100 banners, the Sign Depot can handle any job… single or double sided, indoor or outdoor, small or super large. We offer a wide selection of vinyl banner materials in various weights and finishes including some that can be printed on both sides. 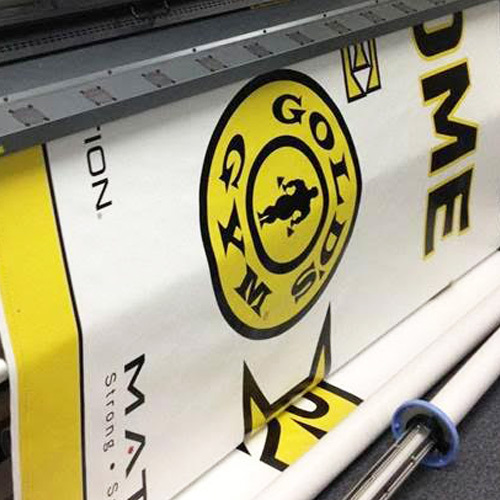 We have synthetic banner materials that are great for indoor use, a wide range of fabric banner options as well as many options for mesh banners. 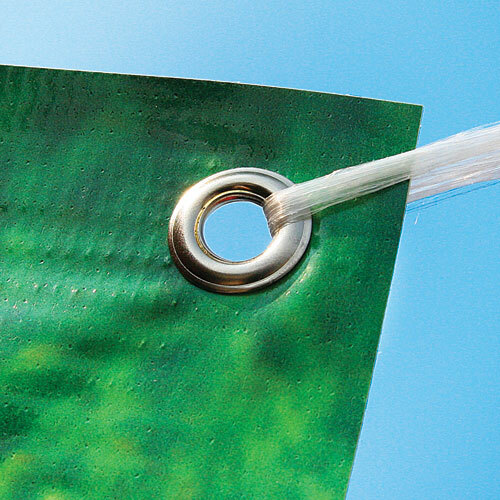 The banner finishes include sewn, hemmed, stitched, welded, pole-pocket, grommets, etc. For any questions or you like to learn more about our banner printing send us an email or call our Sign Depot graphics printing experts at 956-687-SIGN (7446).